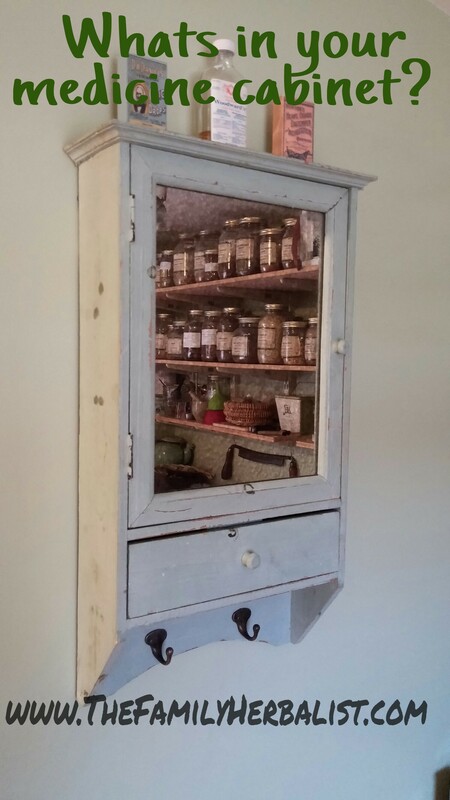 I must admit that prior to beginning my journey as an herbalist my medicine cabinet was loaded with over the counter and prescription drugs. I did have some herbs, but wasn’t quite sure how and when to use most of them. Over the years I have managed to “weed” out the synthetic drugs and replace them with herbs and remedies that work with the body and have few if any side effects. As a mother I was and am very concerned about the risks associated with most of the over the counter drugs used for kids. Barring a broken bone or conditions requiring a trip to the emergency room I have a remedy for just about any acute situation that may arise. Initially, it can be a bit expensive to restock your medicine cabinet. However, there are quite a number of remedies that you can make at home that will save you some money. 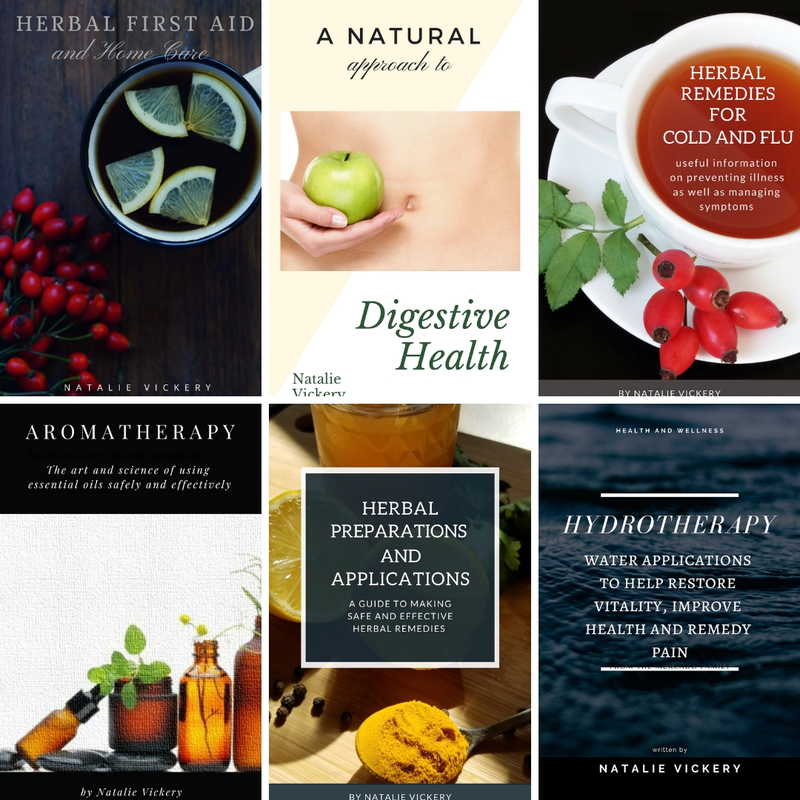 If you are just starting out and you are interested in making your own herbal remedies at home you can check out my book, “Herbal Preparations and Applications”. 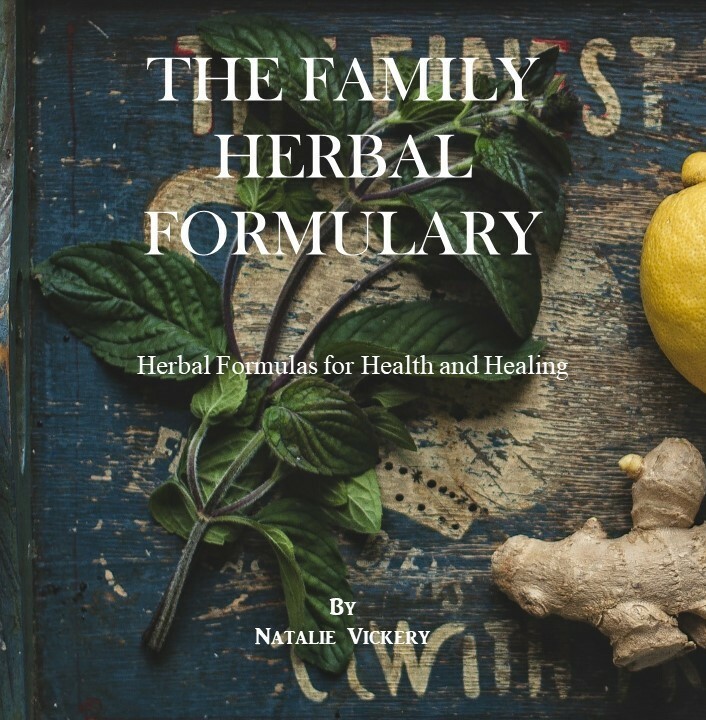 This book covers just about everything you need to know to make your own herbal remedies, how to use them and includes a number of recipes you can try at home. – Add a thumb size piece of ginger root to one quart of water and bring to a boil. Simmer with lid on at low heat for 30 minutes. Let the mixture cool. Strain and drink ½ – 1 cup as desired. You may sweeten this with honey. PARSLEY can be used as a poultice to help ease the pain of insect bites and stings. – Simply crush, chop or chew up the leaves and apply them to the affected area. An herbal infusion made with FENNEL can be used for gas, bloating or intestinal spasms. – Place 3 tbsp of fennel in a pot and cover it with 3 cups of water. – Bring the water to a boil and reduce the heat. – Simmer the mixture until it is reduced by ¼ to ½ . – Strain out the seeds. There are also other items in your kitchen that can be used for acute conditions to include Baking soda, Apple cider vinegar, Honey, Lemons and Salt. As a parent I know all too well how helpless we can feel when our kids get sick. Having knowledge is power and enables us to calmly and rationally deal with these acute illnesses when they do arise. In order to help you feel more comfortable in dealing with these conditions I have put together a number of articles in this upcoming series which will include various conditions we might encounter and natural ways of treating them at home. Hopefully this information will allow you to eventually “Weed” out those over the counter drugs and replace them with safe and effective remedies that you can make at home. Before we talk about gathering your supplies let me introduce you to Hydrotherapy. Hydrotherapy is a traditional technique which uses water applications to help restore vitality and remedy pain. Most traditional cultures use some form of hydrotherapy when treating disease. Bruises – Run a cloth under cold tap water, wring it out and apply it to the bruised area. Apply a dry towel or wool scarf over the wet cloth. Allow the cloths to stay in place until they become warm and then repeat the procedure several times per day. Cuts and Scrapes – Allow the area to bleed briefly which will flush out and cleanse the wound. The area should then be run under cold water for approximately two minutes and then apply a compress. Once the compress is in place follow the same procedures as with bruising. Burns – To help remove the heat and pain associated with a mild burn run the area under cold water for approximately ten minutes. Apply a compress as mentioned above, but do not allow it to dry out. If the compress does dry out do not try to remove it but instead soak the area in cold water. Bleeding – Apply a cold compress as close to the area or organ as possible to stop bleeding. According to herbalist James Green a cold compress may be applied to the upper portion of the back to stop a nose bleed or relieve nasal congestion. Strep/Sore throat, swollen lymph nodes or Cough – Apply a cold compress around the neck. Make sure that the compress does not lie directly on the back of the neck but closer to the hair line. Wrap the compress in a wool cloth or scarf and leave in place until it is warm or dry. Repeat this procedure several times a day. If you are interested in learning more about Hydrotherapy check out my book entitled, “Hydrotherapy: Reference Guide to Using Water Therapy”. This book discusses all the various applications and includes over 55 remedies you can use at home. In my next article we will begin to gather up our supplies and learn several more techniques for dealing with acute conditions. If you just can’t stand to wait for the next article to come out you can find all of this information and more HERE or subscribe to my blog or newsletter to get a copy hot off of the press. I love everything that being an herbalist encompasses. As an herbalist I intertwine my love of nature, cooking, helping others, gardening, exploring, and my deep yearning of becoming a "mad scientist". My name is Natalie Vickery and I am a Traditional Naturopath/Herbalist living and working in Middleburg, Florida. I provide personal consultations for those who are looking to improve their health and vitality. I also offer classes which include basic to advanced herbal training. For more information on my services or to schedule an appointment check out my contact page. "He that takes medicine and neglects diet, wastes the skills of the physician." The information on this website is for educational purposes only and is not intended to treat, diagnose or prescribe.